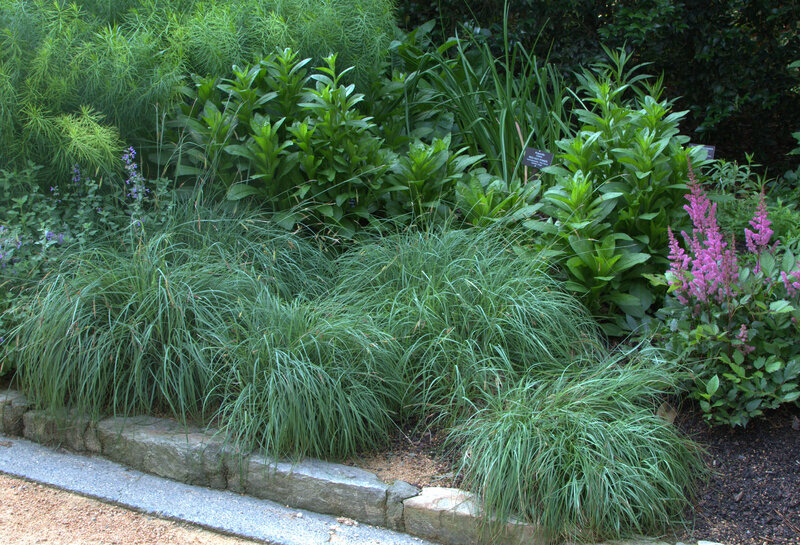 Blue-green, wispy foliage creates a beautiful ground cover in partial shade locations. Evergreen with a clumping habit reaching 8-10 inches in height and 24 inches in width. Drought tolerant once established. Deer tolerant.